If you are a blogger, than chances are that you have had a case of Blogger Envy at least once in your journey. What is Blogger Envy you ask? And the list goes on and on and on and onnnnnnnnnnnnnnnn. Have you noticed something about those thoughts? You're more focused on that other blog's great points that you're undermining your own blog. This is not to say that you should have an arrogant attitude about your blog. We're all different and we have our strengths and assets that are unique to us. That being said, the truth of the matter is that blogging and blogs have evolved and are still evolving with time. 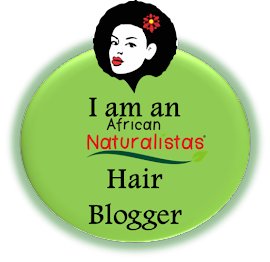 There is so much to learn about the blogging process, content creation, photography skills and more from other blogs. So yes, it's fine to admire others efforts and carefully select inspiration from them. I won't lie. I have had major blog envy in these my 2+ years of blogging. So much so that I would even feel desperate when writing some of my blog posts. I would feel like I needed to push more content, take more photos, try more style posts (which are SO NOT my thing), write in a different manner than what I'm used to, blog more frequently, etc. I even felt like I was in some sort of competition with other bloggers. I hate to admit it but I would check some blogs' stats, then compare their rates of increase to mine and either feel comfortable or depressed, depending on their numbers. It got to a point where my overall mood for the day would depend on whether I passed a certain threshold of views per day. Yeah, it got that bad. But I had to snap out of it. I was watching one of my vlog subscriptions late last year, and one of the quotes mentioned was something along the lines of, "Don't compare the beginning of your journey to the middle or end of someone else's journey." It was almost as if a light bulb went on in my head. It suddenly occurred to me that I was comparing a 2-year old blog to blogs that have been around for 5, 7, even 10 years! Not only that, I was even comparing my blog which is in the Personal/Lifestyle niche to blogs in different niches (Style, Beauty, Entertainment). How silly was that?!?! Remembering Why I Started Blogging - I started because I wanted to share my experiences. My experience is different from anyone else's so why should I be envious? Moving from a Comparison/Competitive point of view to an Inspirational one - Instead of being jealous of other bloggers, I chose to get inspiration by way of their posts, photographs, layouts, etc. Downgrading Stats as a Priority - Yes, as a blogger, we all like to see our daily views, comments, social media followers increase. But focusing on those aspects was taking away from the authenticity of my posts. What I realized was if I was posting out of feeling "forced" it was harder to make my point and finish the post. Essentially, it was killing my creative juices. I'm not putting up blog posts to get 20,000 views a day (lol, in my dreams). Once I started moving back towards just writing for random's sake, the posts just came to me. This post is really just meant to encourage bloggers out there to be true to themselves. Yes, there's a lot of "competition" out there, but there's enough space for everybody. For every new blog that crops up per second, there's a blogger out there that's tired of blogging. And if not, you're not sharing the exact same audience. So do what works for you. Write what makes you comfortable. But make sure you're learning and drawing inspiration from others too. What a beautiful post. Thanks for writing this. Air kisses back! Wow! Word right here.... I'm not a blogger but my sis is n wallahi.....everything you said on here is trueeeee. You are wonderful Berry, this post is so so on point. Blogger envy is very common and the points you raised for moving away from that is very effective. You just realize when you decide to focus on your own self and you blog, the journey is easier. The irony of this for me was that I had envy for lifestyle bloggers, i'll be like ahh this blog is so interesting , so juicy to read, but then I realized, wait o... their content is completely different from mine, so why envy? I got over it because I decided to stay focus. Words so true.. Still new in blogging bt dis same tips have been keeping me going... Nice one. Everytime I read something on blogs and envy of other bloggers, I remember when I just moved to my self hosted site. The mind battle was real! 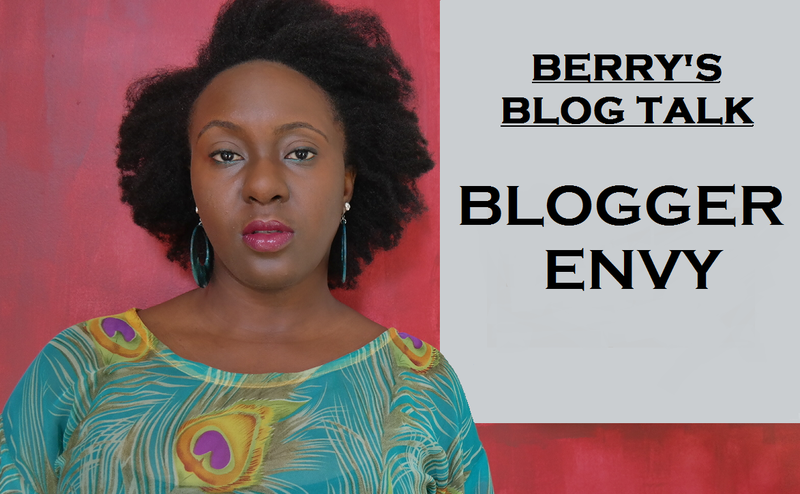 Envy of other blogs was real! I didn't really blog about it but I wrote about it as one of my lessons from 2014 on instagram. And I am thankful for lessons learnt from then, God just purged out a lot of unhealthy emotions from me. Truth is, I am on my own race. I will rejoice with others while I fix my sights on my own lane. And we usually have a choice, we can chose to praise the other person, be thankful for them and fix our sights on where we are while appreciating the journey or we can let the envy eat us up. The mind is where it all happens. The battlefield of the mind..but we can be intentional about what we think about and chose wisely. This is a great post, Berry. I especially like the reminder to remember why I started blogging. Thanks! Its human nature - it all depends on how we can turn envy around and make it work for us constructively. 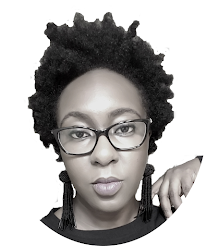 If another blogger is doing something better than you, you either acknowledge that is their own style or calling and either ask for guidance or find and carve out your own niche. It never hurts to ask for help or guidance rather than beefing. Berry - I have serious blogger envy jo - NOT!! You have said it all and i agree. Just be the happy and come as you are. Thats my approach to the whole thing. I have had 4 blog over the last 9 years, two i deleted on a whim, one i took down i am not sure if it was because of my own insecurities or what. Like i said, i have just decided to let it flow. Be the happy and come as i am. Thus write as i feel. This is real talk. Same goes for Instagram, etc. I think our blog is now two years old and I have learned to stop checking stats. Once in a while I do, so I know what people are enjoying but B and I are pretty on the "let's enjoy blogging and put our best into it while we do so". One of my favourite verses is 2 Corinthians 10:12 (NKJV) - For we dare not class ourselves or compare ourselves with those who commend themselves. But they, measuring themselves by themselves, and comparing themselves among themselves, are not wise. It's good for us to stay true to ourselves and realise that we are all on different lanes. It's also important that we define our purpose for blogging. Thanks Berry for this reminder. Many time I need to be reminded about why I started blogging and my passion for it. I swear you are berry dakara of life!!! Ha! It's like you entered my being and put into words, feelings dancing in my head like elusive wasps! I've even had blog envy towards you, I tell you, feeling intimidated and wondering when I'll ever get to where you are! Thank you for these tips and saying it as it is! Well done Madam! Please recommend a good product to cure dandruff?? I think you wrote this post for me. Thank you. we have different journeys to make. Great post, I am usually a silent reader but decided to comment today..I have an aunt who is a fashion blogger and her blog is so huge OMG!! and sometimes I get that blogger envy but I just remind myself that her blog is way older than mine and me envying would not get me anywhere. I don't know what blog envy is about and I am not sure that I will ever understand it. My blog is my diary.....so what do I care if your diary has more content or more reading views than mine?...... **shrugs** like I said, I don't get it so I can't relate to this... Either way, nice blog dear. Thank you,i have definitely experienced it.Especially what you said about stats,it can be so depressing that sometimes I get discouraged. Reading this,i have decided to take each blogging day as it comes. I am also random when it comes to posting and I wouldn't change that. This post is on point! I've suffered from blogger envy while starting up but now I'm in a comfortable zone. It's good to let the progress/stats inspire you to be better but not drown you to the point of giving up. Starting a blog sometimes is about sharing something you love and hoping someone out there relates/listens. Even if it's one view per day, at least someone has seen your story and if it's zero views per day, you have a diary for your future self to read. Either way, you shared and it was received! Also, downgrading the importance of stats is a great tip - I used to be too cautious of that and consequently, I had unnecessary headache.